Agyness Deyn attends the 2009 CFDA Fashion Awards at Alice Tully Hall, Lincoln Center on June 15, 2009 in New York City. JUNE 10: Model Agyness Deyn attends The Cinema Society & The New Yorker screening of 'Whatever Works' at Regal Cinema Battery Park on June 10, 2009 in New York City. Agyness Deyn to Quit Modelling? 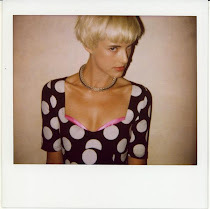 Agyness Deyn is planning to quit modeling. The British star, who has been hailed as “the fashion industry’s next great supermodel” — will return to the UK from New York and concentrate on her acting career. 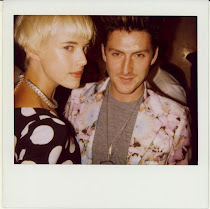 Deyn is also said to be crushing on The Last Shadow Puppets’ Miles Kane. “They went on a date and she was really flirty,” an insider told Britain’s Daily Mirror newspaper. “They are both Northern and have a similar sense of humor. “She said it’s so boring and lonely hanging around studios all day, she’s not enjoying it anymore. She’s got an acting agent and told them she wants to get involved in interesting British indie films. “She has known Miles for a while, but they hadn’t managed to see each other for ages. “When he was in New York recently visiting Alex Turner, she was away working. “They finally managed to hook up last week and went on a bender to Bungalow 8 and Punk and have been texting each other all the time since. “She was really flirty with him and he seems to really like her. she looked so pretty at the cfda awards! only she could pull that look off. and as look as she keeps her always cool style. I am suprised about her quiting. I guess with all the attention she has been getting it just gets too much. encima el dibujo atras se ve hermoosoo!! this is such a great outfit for her!